Join us here for our favorite eats and drinks, as well as our travels, in the Keeper Life Tastings™ Blog. 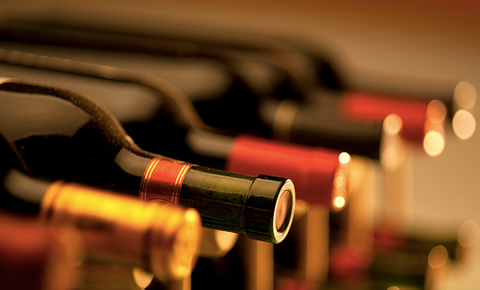 To learn even more about Wine and Food, check out our Life Tastings Videos. Crete is the largest Greek island, and renting a car is a must if you plan on exploring the most famed locations on the island. I stayed in Heraklion and it is relatively close to the main attractions of the island. However, the Balos Lagoon (which is absolutely gorgeous and I was dying to go) is more than a 4-hour drive from where I was staying, so I was not able to go visit. Crete is the birthplace of Greek Mythology. The Palace of Knossos was the setting for the famed labyrinth where Theseus slayed the minotaur and where Icarus and Daedalus were held captive then crafted wings to escape the island, the Diktaean Cave is the supposed birthplace of Zeus, and so many other myths. Crete is also home to the largest gorge in Europe, the Samaria Gorge. The majority of wineries in Crete are located in the central part of the island near Heraklion and the island has 11 indigenous varieties. The two best ferries between Athens and Santorini are Blue Star (7-8 hours) and the high speed Hellenic Seaways (5 hours). They say that the high-speed ferry can be rocky and bad for anyone prone to seasickness, but I personally didn’t notice a huge difference between the two. 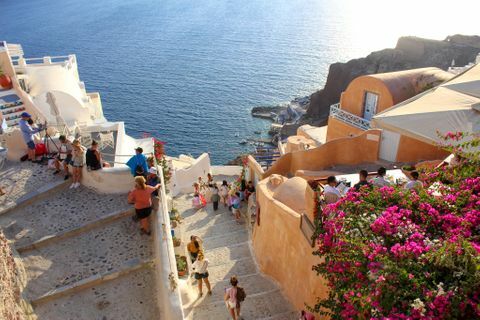 We spent about 4 days in Santorini and stayed in Fira (Thira). Most people generally plan to stay in Athens 4-5 days. However, we stayed for 2 weeks to complete the better half of our course work. This gave me the opportunity to explore the city. The first thing to know about Athens is its size. IT IS HUGE. The greater Athens area has 58 municipalities and houses over 3.5 million people. I stayed in Glyfada, a coastal area thought of as the “Miami Beach of Athens”. There are so many boutique shops within walking distance and some incredible restaurants as well. 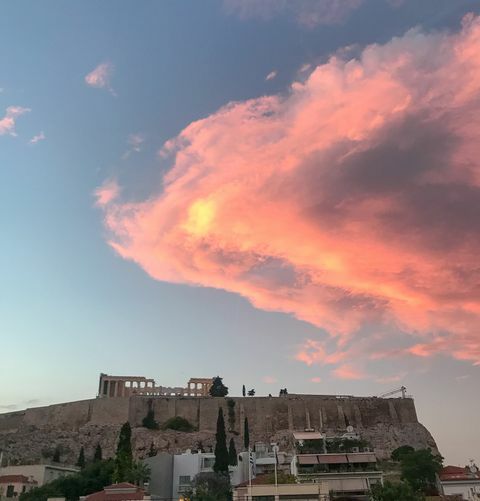 When I started working for Keeper Collection, I never thought I’d have the opportunity to travel around Greece, take classes, and continue my internship. The next posts will detail the incredible places I was able to visit and experience in Greece in hopes of giving you, loyal Keeper followers, ideas for planning your next trip or at the very least, an outlet to live vicariously. So, look for my next posts on the Keeper LifeTastings blog under #KOOLKEEPERSUMMER! First stop, Athens. 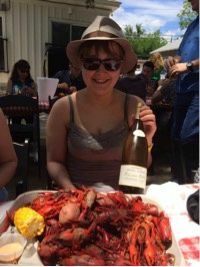 Thanks to Advanced Sommelier Jill Zimorski, SommTale™ continues with her amazing journey to Burgundy. 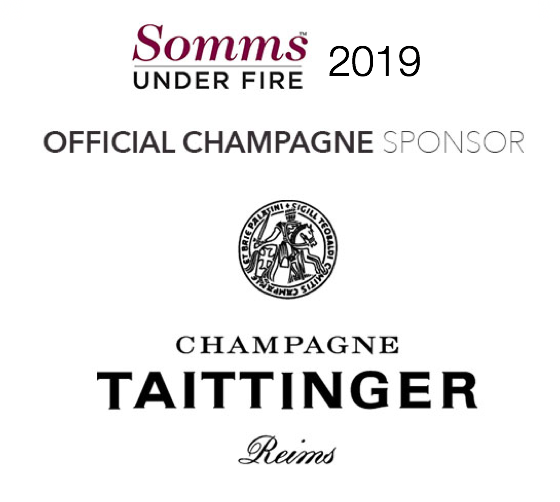 Follow along as the 2018 Somms Under Fire™ winner tells us what she learned about Burgundy wine. 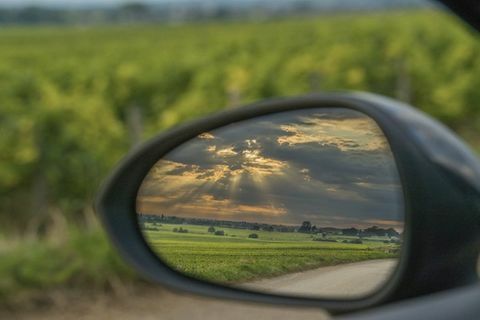 As you read through and learn about Burgundy from Advanced Sommelier Jill Zimorski, make sure you hover over each picture, as you can find multiple pictures and some videos hiding behind the one on the top! If you know me at all, you’ll understand how much I absolutely adore cocktail hour. When making reservations for dinners out or even when cooking at home with my family, an intentional hour or so prior to dinner is built in specifically for time to enjoy a drink together. 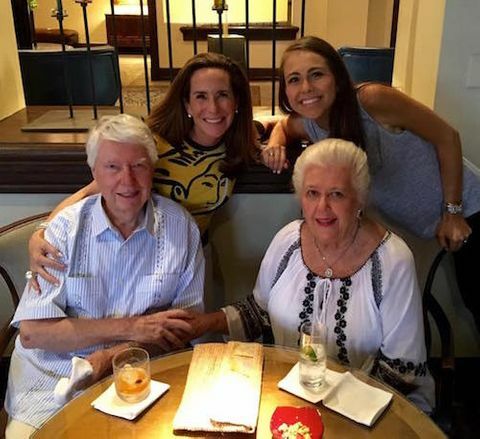 There’s truly something special about that brief time spent with loved ones catching up and enjoying one another’s presence, while enjoying a delicious cocktail or glass of wine. Though I truly enjoy indulging in a glass of wine (or two) and dessert during a fun dinner out, health and wellness are truly important to me. I am absolutely fascinated by nutrition and often find myself researching and seeking out new health trends and how I can apply them to my own lifestyle. When it comes to Italian cuisine, what could be more quintessentially mouth-watering than salt-cured pork? 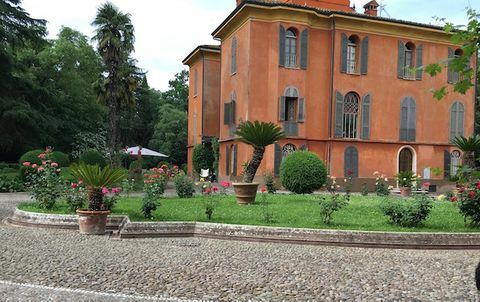 Our Italy summer travels took us to the Antica Corte Pallavincina estate in the northern region of Emilia-Romagna province, where Culatello, a most prized version of this delicacy is produced. I never go a day without eating breakfast. Unfortunately, my morning meals rarely consist of wonderful treats like avocado toast, mimosas and eggs benedict (sigh). Day-to-day life often gets hectic, and thus a simple apple and peanut butter or yogurt and berries have to suffice. Yet I cherish those weekend mornings when I’m given the opportunity to broaden my taste buds. 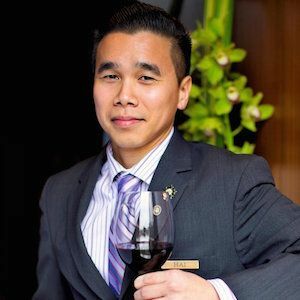 Thanks to Advanced Sommelier Hai Tran, SommTale™ continues with his amazing journey to Burgundy. 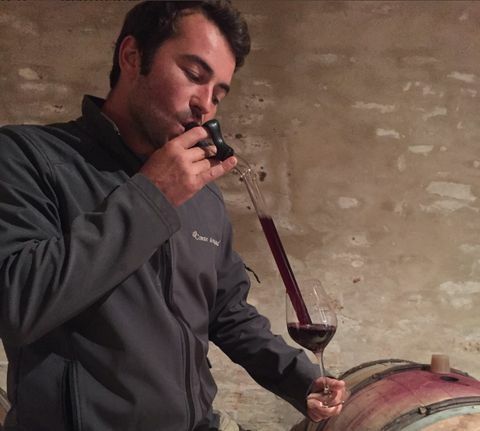 Follow along as the 2017 Somms Under Fire™ winner tells us what he learned about Burgundy wine. As you read through and learn about Burgundy from Sommelier Hai Tran, make sure you click through the multiple pictures and videos. Whether your version of a date night out is spending quality time with a sibling, parent, best friend or significant other, nothing is better than catching up over an incredible meal. 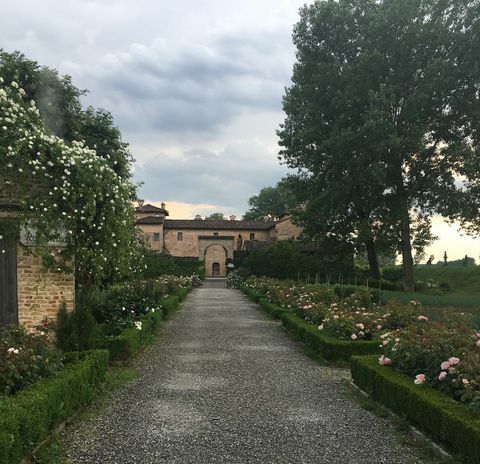 As our adventures continued during our time in Emilia Romagna, Italy, the Keeper Collection team broadened palates and knowledge once more, this time with a trip to Il Borgo del Balsamico. Here, we caught a glimpse into the traditional and ancient practice of making balsamic vinegar that is central to Italian cuisine, as explained by our personal guide Cristina Crotti, co-owner and proprietor of Il Borgo. Of all of the elements that make up the relationship between my sister and myself, sharing is perhaps the most prominent. We share clothes, genes, a sense of humor—you name it. 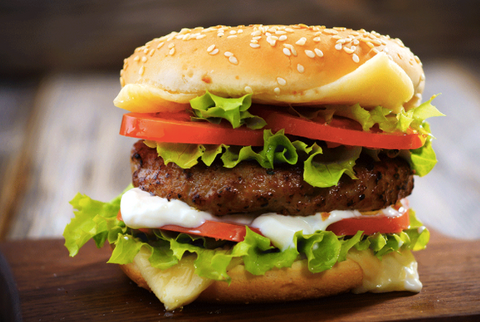 But most of all, we share the same deep love for food and exploring new culinary experiences. As I began my summer in Austin with various lists of restaurant suggestions, I first decided to take a step back. Though I can’t wait to explore the food scene more deeply during these next couple of months, I wanted to revisit my own longtime favorite places and those of my family. 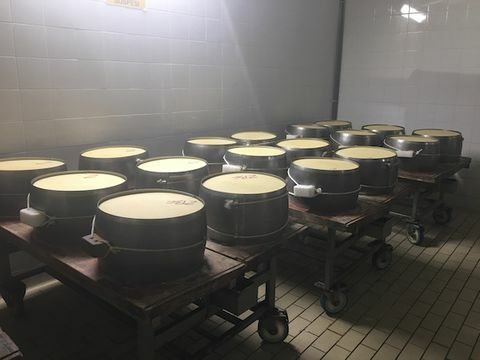 Though much of our two weeks in Italy was spent learning about and tasting the country’s magnificent wines, we couldn’t turn down a lesson in another Italian specialty: Parmigiano-Reggiano. Have some fun with us as we explore the Life of a Somm in SommTale™. 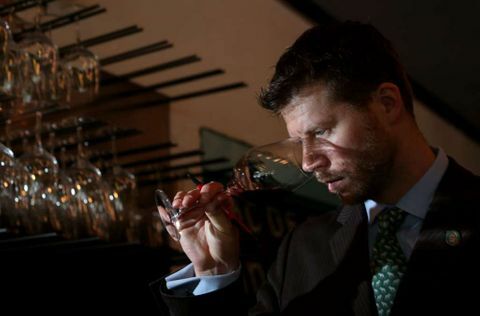 From time to time we feature a Sommelier who will share aspects in their life as a Somm, through our social media channels Instagram, Twitter, and Facebook. Austin and food: my two absolute favorite things. Follow along with me as I take a bite out of the city's thriving and diverse food scene during my very own #KoolKeeperSummer! For many, summer is synonymous with travel, food, and of course, wine, and here at the Keeper Collection, it is no exception. We started our summer travel early with 2 weeks in Italy, including a week to explore Emilia Romagna. The 2017 Somms Under Fire Cocktail Challenge featured Pisco Portón Mosto Verde. 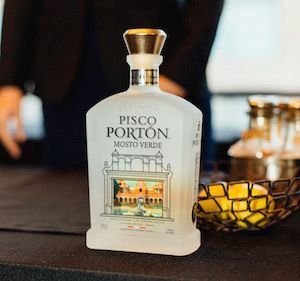 Pisco Portón Mosto Verde is a super premium pisco handcrafted at the oldest distillery in the Americas, Hacienda La Caravedo, established in 1684 in Ica, Peru. It is a full-bodied, luxurious acholado, or blend, of estate-grown grapes, carefully crafted in the mosto verde style by Master Distiller Johnny Schuler and recognized as the finest type of pisco. Pisco Portón Mosto Verde is the most awarded pisco in the world with over 150 international spirits awards and is the #1 exported pisco from Peru. This year, Somms Under Fire contestants were challenged to create a Craft Cocktail Recipe using Pisco Portón Mosto Verde. They were required to present a personal narrative with their selected ingredients, garnish, style, and presentation of Pisco Porton Mosto Verde Cocktail. 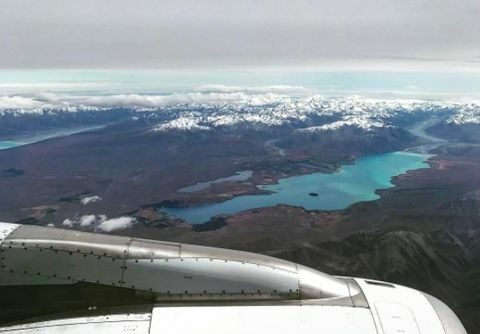 Thanks to Master Sommelier David Keck, SommTale™ begins with an amazing journey for all of us to share on New Zealand wine. Have some fun with us as we explore the Life of a Somm, in our new feature, SommTale™. 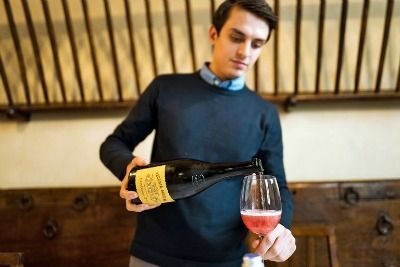 From time to time we will feature a Sommelier who will share aspects in their life as a Somm, through our social media channels Instagram, Twitter, and Facebook. 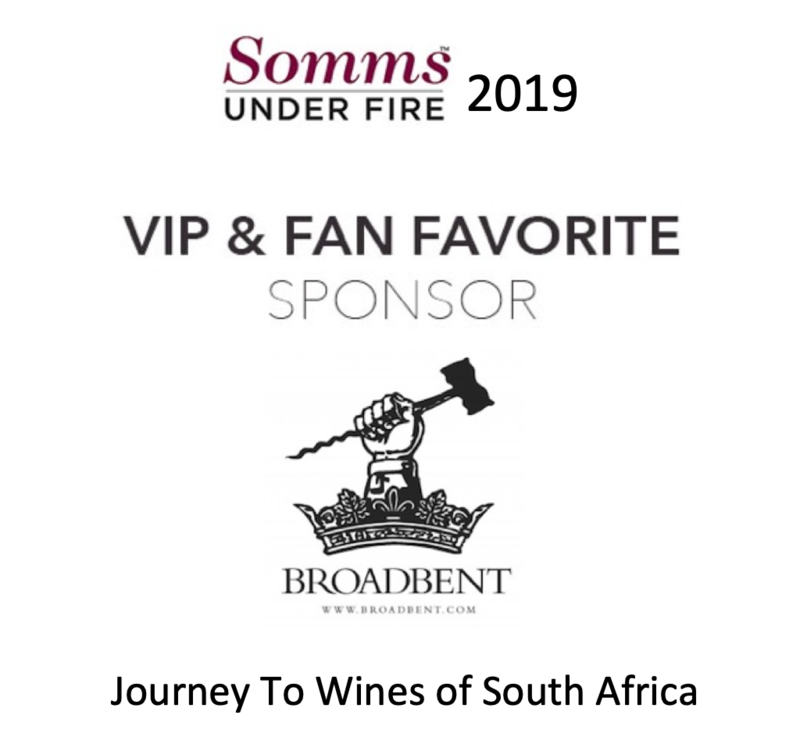 Get to know more about our finalists with just a few days before Somms Under Fire 2017. Keep an eye on our Life Tasting Blog daily to see the question of the day. Tweet some of your own answers or comment on our Facebook and Instagram post for a chance to win a free GA ticket. Be sure to include the hashtags #SommsUF2017 and #SommChat when you respond! 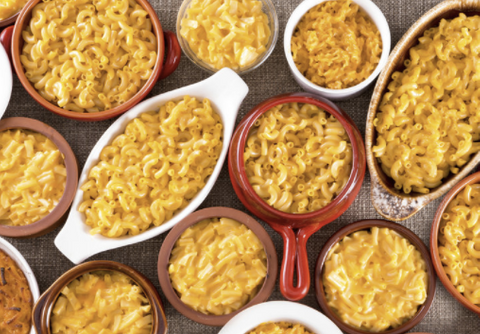 What city can you eat literally anything in? 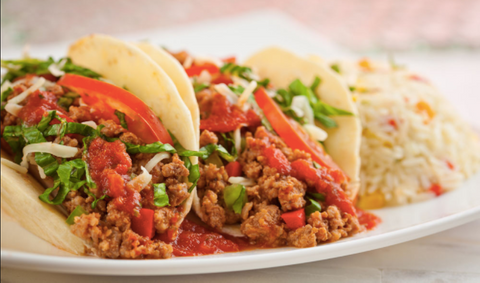 Is Tex Mex the Best Mex? 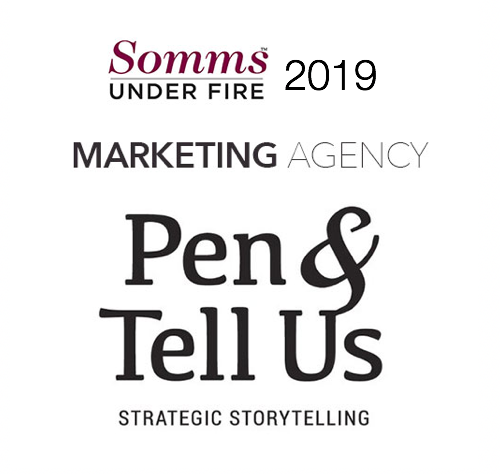 GTK the Somms Under Fire 2017 Finalists! 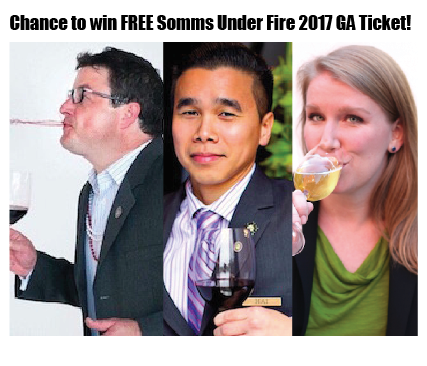 We asked our three finalists Advanced Sommelier Eric Crane, Advanced Sommelier Hai Tran, and Advanced Sommelier Jill Zimorski some questions to see how they match up prior to the Somms Under Fire competition on January 29, 2017. 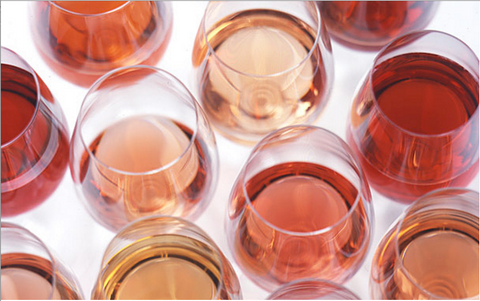 What better way to end the summer than with rosé? Join Master of Wine Christy Canterbury and Master Sommelier Brett Zimmerman as they tell us all about everyone's favorite summer beverage! Learn the do's and don't's of winery tasting etiquette with guests Amber Mihna, Marketing Manager for Napa Valley Vintners and Owner and Winemaker Ed Thralls, Thralls Family Cellars ! Join us as we talk to Italian Wine Writer Jeremy Parzen, CEO of Champagne & Villages Sophie Couvreur, Ferrari Trento US Ambassador Jamie Stewart, Spanish Wine Importer Jose Pastor, and Gloria Ferrer Winemaker Steven Urberg to learn about different types of sparkling wine from around the world! 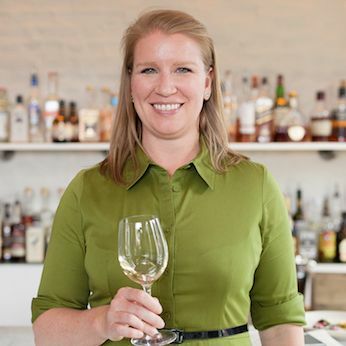 Check out Alinea Group Wine Director Jill Zimorski, Advanced Sommelier; B&B Hospitality Group Beverage Director Jeff Porter, Advanced Sommelier; and Rebelle New York Head Sommelier, Kimberly Prokoshyn's recommendations for quality wines that don't break the bank! Sake may have once been considered a beverage purely belonging to Japanese culture, but this traditional drink has gained ground in Western culture in recent years with the openings of numerous Sake bars and craft breweries. 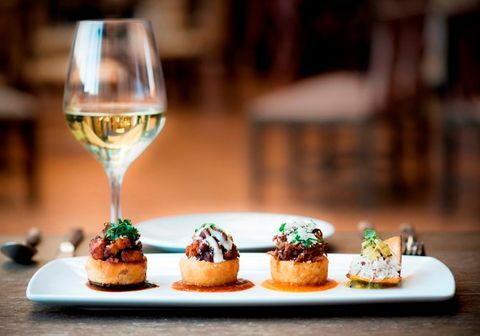 Thanks to all of the Keeper followers that told us they wanted to know more about wine and food pairings. I'm here to share what I've learned about how to make a great pairing! Looking to try some great wines and learn a little along the way? 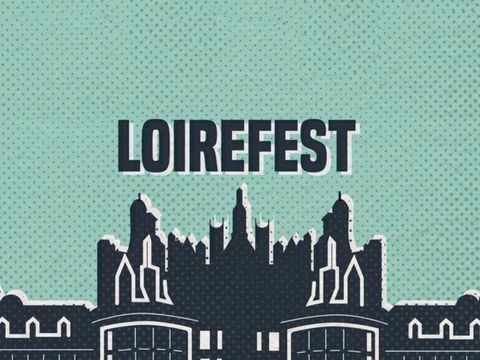 Then #LoireFest is for you! Calling all #KoolKeeper readers! Have questions about food and wine? Want a new perspective on the wine industry? If so, then #KoolKeeperSummer posts are for you! All good things must come to an end. This is the end of my Texas adventures. When you will read this article, I will have arrived back in my home in France. On Sunday, August 23th, the Keeper Collection prepared the famous French 75 cocktail for me, which is mainly composed of Gin. A few weeks ago, we visited Revolution Spirits distillery, which produces different kinds of gin, as written in my previous blog here. So, it was only appropriate to make this cocktail using Revolution Gin. On Tuesday, August 18th, I had the pleasure of attending an Italian wine dinner as a member of the Keeper Team featuring two female Italian winemakers, Arianna Occhipinti and Alessandra Bera at the Austin restaurant, Bufalina. This was the first trip for both of the winemakers to Texas in an effort to promote their wines. 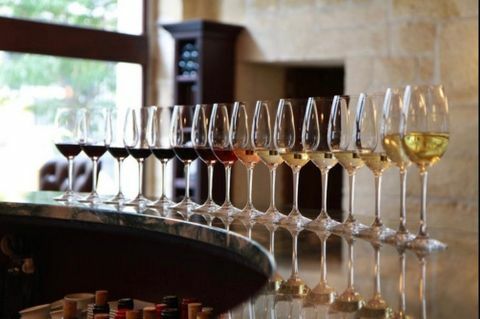 Many say TexSom is the most prominent and influential wine education conference in the world, held every year in Dallas. 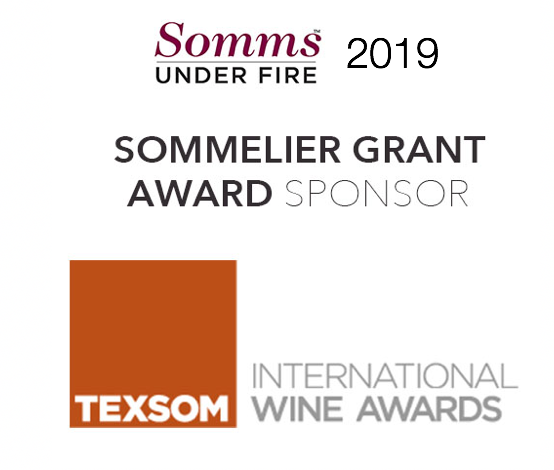 This year, TexSom celebrated its 11th anniversary on August 8 -10, at the Four Seasons Resort & Club Dallas in Las Colinas, Texas. 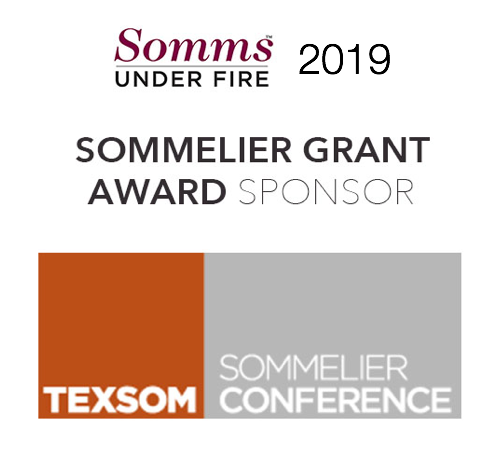 Founded in 2005, TexSom was started by Master Sommeliers James Tidwell and Drew Hendricks in order to promote wine education to Sommeliers. Today, TexSom draws Sommeliers, retailers, and wine buyers from all around the world. 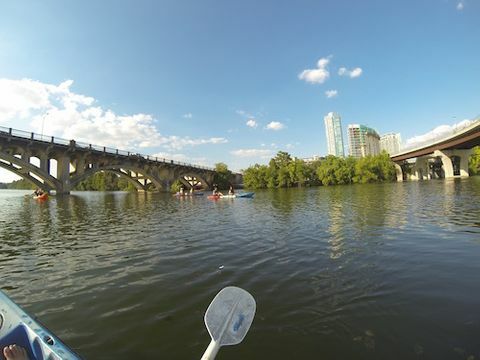 On Saturday, August 1st, I was offered the opportunity to explore Austin with the Keeper Collection team. First on the agenda were visits to local farmers markets. I learned that Boggy Creek Farm opens at 8 am and you must arrive very near the opening time to get a good selection before it is all gone! Springdale Farm, another Keeper Favorite, is nearby and opens at 9 am. 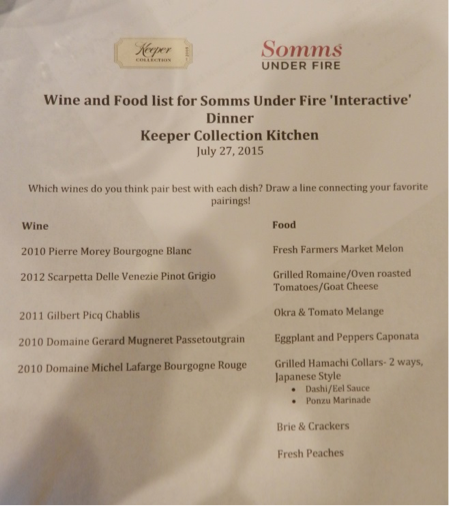 On Sunday, July26th, the Keeper Collection team organized a little “Somms Under Fire™” dinner for me and some Keeper friends, including the Somms Under Fire Photographer, Ashleigh Strain of Ashleigh Strain Photography. On Wednesday, the 22nd of July, I participated in my first radio show with the Keeper Collection team. 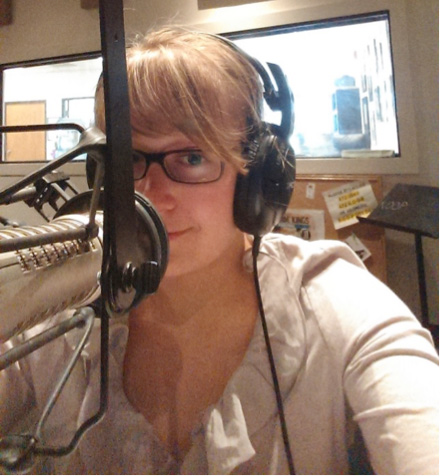 The show was on Koop radio, which is a radio station in Austin, Texas. It was explained to us that the station is owned and operated by its members in a cooperative structure. There are only volunteers for most of the operations of the station. 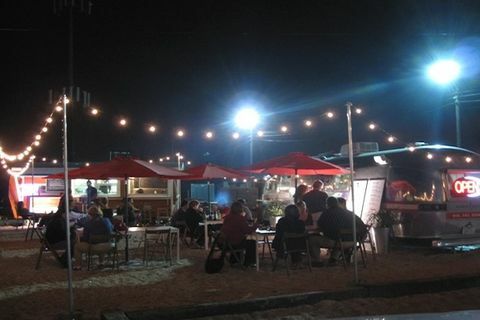 On Monday, the 15th of June, I attended my first live cooking competition, the finale of Citywide 86'd in Austin, Texas. The event took place at The AT&T Executive Education and Conference Center. When I am in France, I love to watch cooking shows on TV like Top Chef and Masterchef. So, I was very excited to be able to attend Citywide 86'd to see what goes on behind the scenes. With my camera in hand, I was able to get up close and see what is filmed for TV. My Texas life is going well, and I am learning a lot from my Internship with Keeper Collection. On Tuesday, the 19th of May, I participated in a blind tasting for the first time. This one was very special indeed. It was a blind tasting dedicated to learning about Terroir. 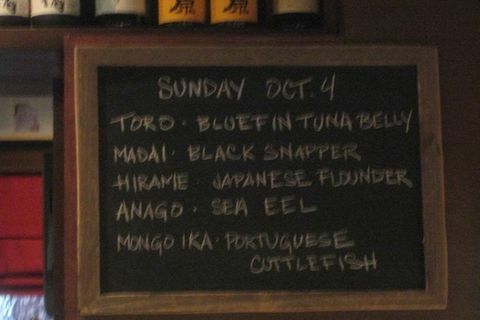 This tasting took place at Arro Restaurant in Austin and the presentation was made by Pedro Parra. As I recently wrote in my previous contributing blog for Keeper Collection, I am learning by experience in the US via my French Internship. My family, Domaine Michel Lafarge who are located in Volnay, produce Bourgogne Passetoutgrain. 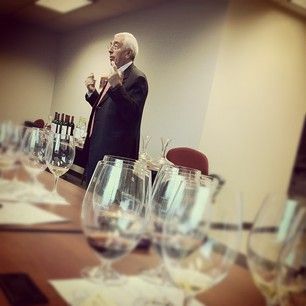 During a recent event in Austin, Texas, Master Sommelier Craig Collins asked me what does the term Passetoutgrain mean? So, I decided to write this article that I thought might be helpful to provide some information about Passetoutgrain wine. 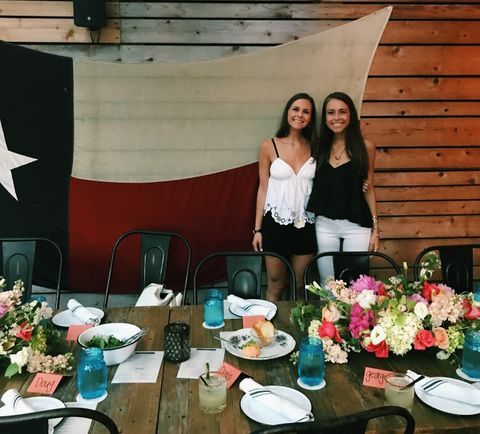 Traveling French Intern – The Journey from Burgundy, France to Austin, Texas with Keeper Collection! The opportunity to begin my internship with Keeper Collection over the next 4 months has finally arrived. 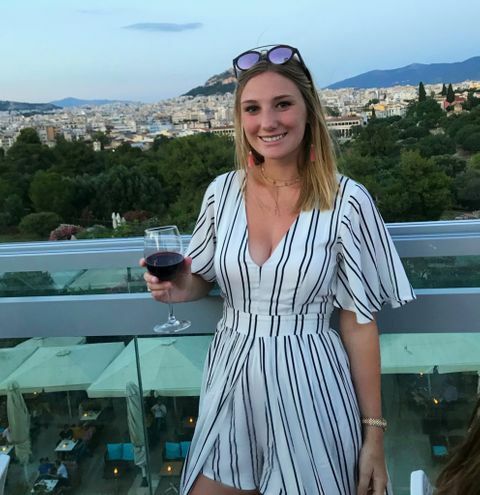 I am studying “Wine Marketing” in a business school in Bordeaux, France, which requires a final 4 month internship in order for me to graduate. And so, I’m very excited to have the chance to learn Wine Marketing with the Keeper Team while discovering the Texas culture. 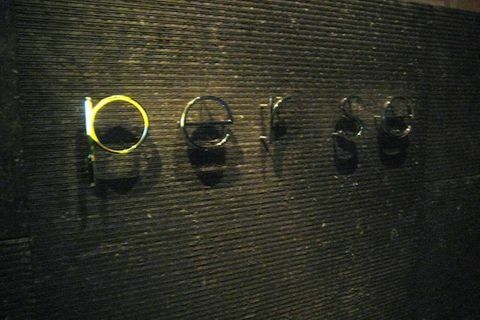 Thanks to a recommendation from a friend, the Keeper Team put Cinc Sentits on the must-do restaurant list in Barcelona. Luckily, they were open during part of our stay, and we were so glad – it was a great choice! As we think back over culinary travels, we realized this is one that needed to be shared with others. 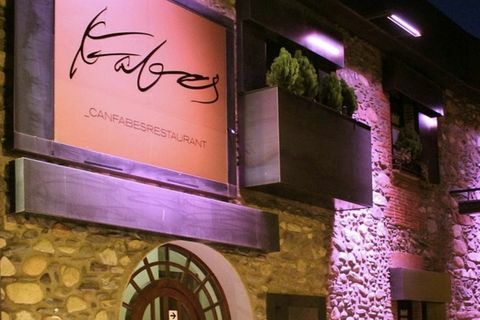 The Keeper Team got the chance to visit Michelin-Starred Restaurant El Racó de Can Fabes in Barcelona before its closing, due to the death of Chef Santi Santamaria. Here we hope to pay homage to Chef Santamaria through this post by showing you some of his delicious and beautiful culinary creations. 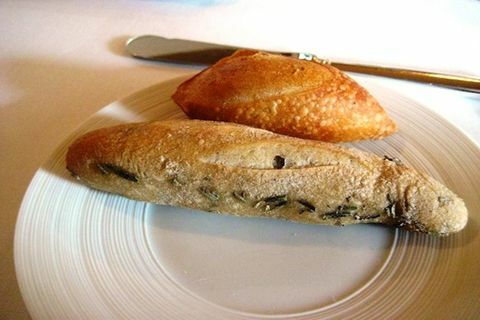 First, we were offered a choice of Black Olive or Parmesan Breadsticks. 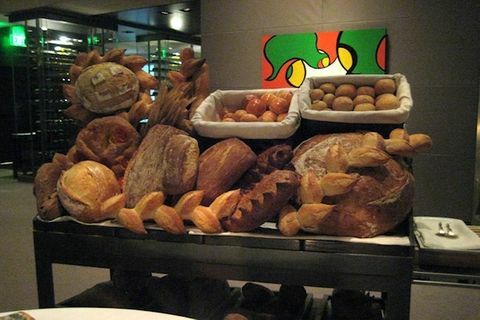 The servers also presented a huge Bread Tray, as well as butter and olive oil. Then came an amuse of Focaccia with Tomato & Caramelized Onion. The focaccia was very dense because it was made with potato flour. The Keeper Team had heard great things about Cal Pep and wanted to eat there while in Barcelona. We were challenged, as the restaurant was going to close for vacation during most of our time in Barcelona, and we were unable to get a table reservation for the one day we could go for lunch or dinner. Undeterred, the Keeper Team decided to arrive in advance of the 1:00 p.m. opening time and stand in line, hoping to score a few spots at the first-come, first-serve sixteen-seat lunch counter. Several years ago, we met a special man, Serge Hochar, at TexSom. Serge had traveled from his homeland of Lebanon to do a special vertical tasting of his Chateau Musar wines. That tasting will undoubtedly be etched in our memory forever. But more importantly, the defining and most special part of that TexSom meeting was the beginning of a treasured friendship with Serge Hochar, a beautiful man. On New Year's Day, 2015, we learned of our friend's passing. As we tried to deal with the grief and the loss, we began to hear and feel Serge's words and wisdom. It gave us much comfort. When Serge spoke, it was not really about wine, but life. He had an innate way of cutting through to your core and teaching the importance of living life at its best and to its fullest. He did not mince his words when he spoke. We are holding on to his beauty as a man and a friend. Interested in learning even more about Food and Wine? Check out the Life Tastings™ Video collection, where you will find an informative, entertaining set of videos featuring Wine Specialist Peter Wasserman (of Becky Wasserman & Co.). The first series, Champagne Uncorked, began on December 5, 2014. 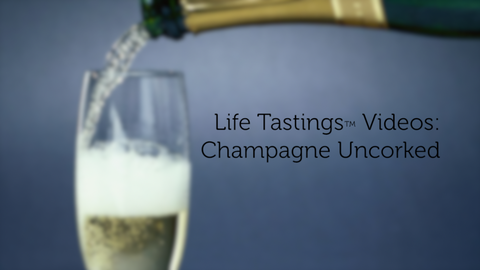 This #LifeTastings Series on Champagne includes more than 15 videos. Keeper Collection has produced these educational videos as a gift to you, our Keeper Collection Community. We encourage you to share them with your friends and family across the globe. Please feel free to leave feedback and opinions in the comments section on the videos, and give us ideas in the comments section of the Life Tastings Videos page on future video subjects you would like us to feature. 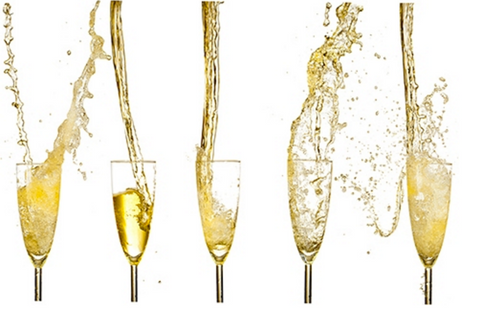 We raise a glass of Champagne to all of you! As we drove up to Mugaritz, the first thing we saw was the view of the Restaurant's gardens. 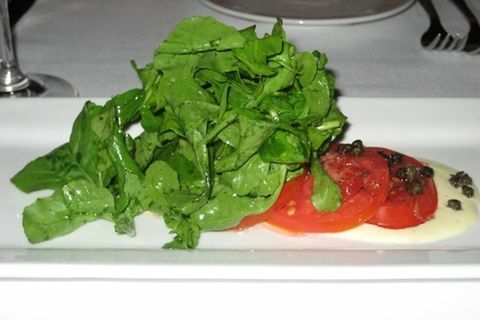 Our anticipations were heightened as we saw the many fresh ingredients that the Chef has right outside the front door. A wine three years shy of 50 years old, what can one expect? 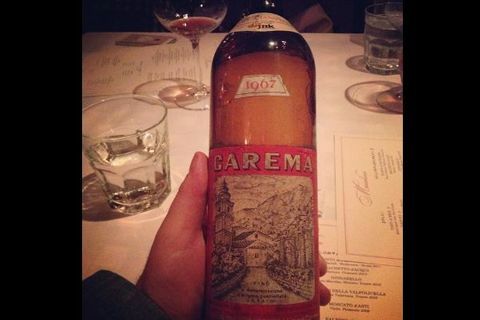 The lovely tasting notes shared with us by Piedmont Winemaker Elisa Scavino here on the 1964 Paolo Scavino Barolo inspired us to ask Wine Consultant Peter Wasserman of Becky Wasserman Selections his thoughts on the 1967 Carema. Let's see what Peter has to say! 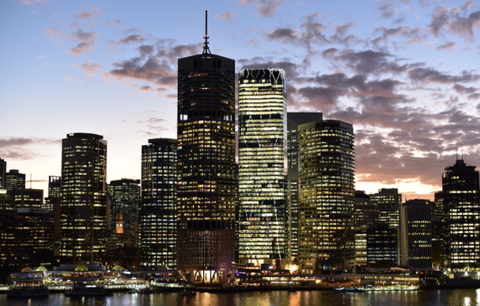 In today's world, there are an increasing number of ways to communicate and learn. 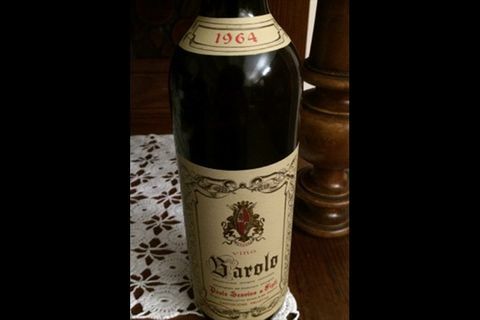 We noticed our Keeper friend (and alum #SommChat guest), Piedmont Winemaker, Elisa Scavino had posted tasting a 50 year old Scavino Barolo on the Delectable App. Intrigued, we asked Elisa to describe her recent tasting of the 1964 Paolo Scavino Barolo (picture above), so we could learn and share with you, our Keeper Life Tastings community. Made from Nebbiolo grapes from Barolo, Italy, the wine is one of many beautiful wines produced by Elisa's family's winery, Paolo Scavino. We naturally had great excitement about our first visit to San Sebastian. 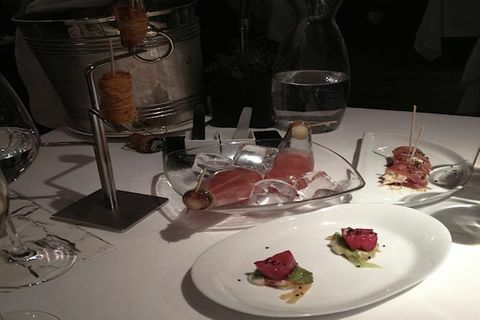 We purposely chose Arzak for our initial culinary experience. 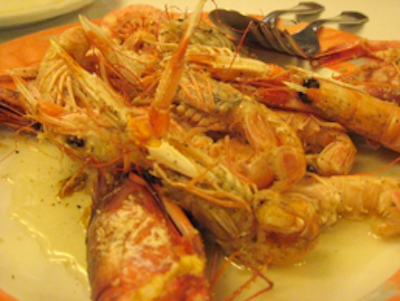 It was within walking distance of our hotel, and we wanted to set the bar high with a strong first impression of the highly regarded culinary scene of San Sebastian. Our spirits were dampened by pouring rain during our walk to the restaurant. We arrived a little wet from the rain, but we were warmly welcomed, and what followed quickly elevated our mood. As you will see, the visual experience was colorful and bright. Trust us, the flavors and the aromas were equally artful. As you enter a modern building, you are unaware of what you are about to experience at Akelare. 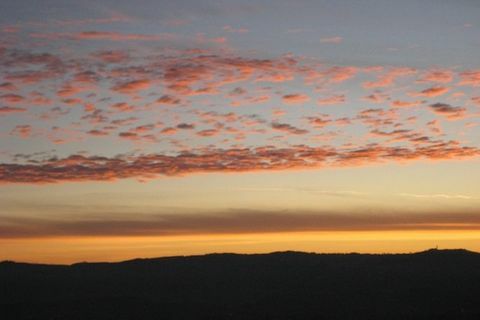 The first sense stimulated was sight because of the amazing view. 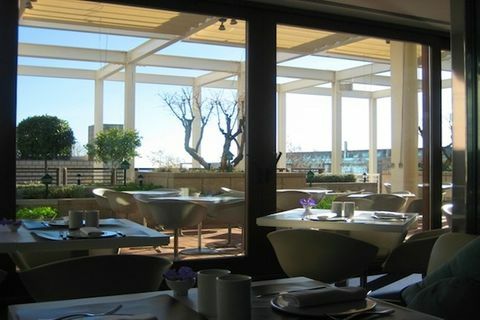 We chose lunch as we had heard of the beautiful views overlooking the water. Our table was adjacent to the window. We were rewarded with a beautiful luminous bright day, allowing us to see far and wide as we were high on a cliff overlooking blue, blue water. We were offered the option of three different tasting menus. 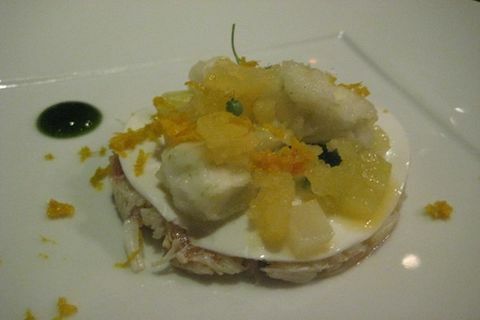 One was classic signature dishes, one was more experimental dishes, and one more seasonal dishes of the Chef. Our Keeper Team consisted of 2 couples, so the guys chose the more experimental menu and the girls chose the seasonal menu, so that each couple could share and have tastes of two menus. Knowing that we would have over 2 dozen different dishes to taste, we decided to pair with Champagne for the entire meal. Our Chicago adventure to "scout out" where Uchi Chef Ben Schwartz, winner of 2014 Citywide 86d would stage continued at L20 Restaurant. We could't wait to see what Ben would experience in the culinary creations from this Michelin Star Restaurant, after the glories we were fed at Grace Restaurant (see our Grace Blog here). And the Food and Wine Ride began! Chef Ben Schwartz of Uchi, Austin, prevailed as the winner of 2014 CityWide 86d. You may ask, 'What does this have to do with Grace Restaurant in Chicago?' 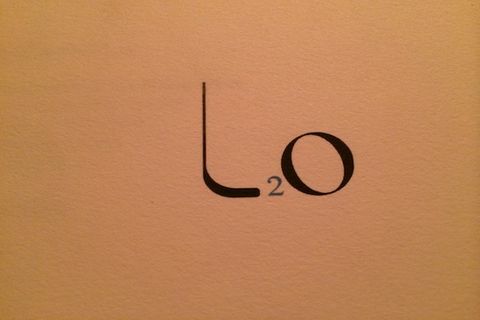 The Answer: Chef Ben won a 'stage' at two great Chicago Restaurants, Grace and L20. So, since Keeper partnered on the CityWide 86d event, we felt it was our "obligation" to "scout out" where Ben would be staging. (These are the type of "obligations" we like!) Our first stop was Grace Restaurant. San Sebastian -- Asador Etxebarri Restaurant - A Keeper Spanish Fireworks Food Explosion! 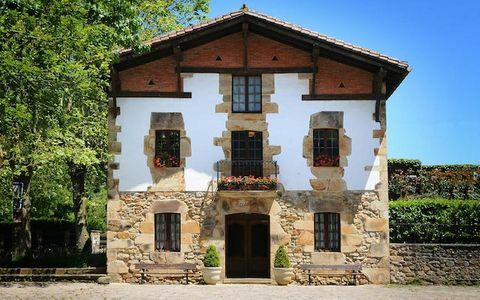 Located in a tiny hamlet, outside an ordinary village, near a small town, in the general vicinity of San Sebastian, Asador Extebarri was not easy to find, but well worth the expedition. One of the beauties of this restaurant, in today's grandiose Restaurant/Chef world, is that it was on the outside, as pure and natural, as the food on the inside. 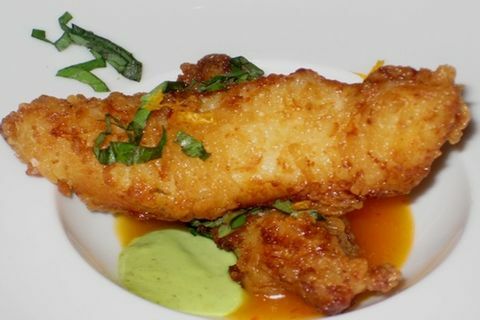 Simple, yet creative, each course highlighted a primary ingredient that was enhanced by other, (sometimes surprisingly) harmonious supporting flavors. 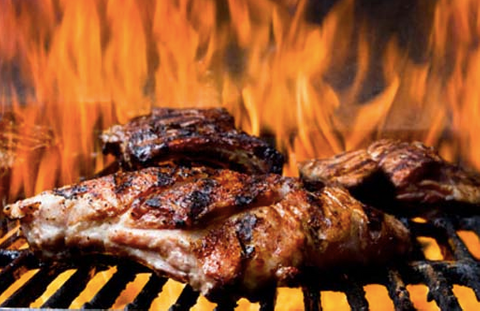 Everything was grilled over a wood fire (see picture of grill later in this blog), but the technique was in no way monotonous, rather the flavor of the primary ingredient was truly brought to life. Come In Keeper, NASA here. We're ready for your re-entry into the Blogosphere! We feel your love on Instagram, Twitter, Pinterest, & Facebook. We've been focusing our energy on these things, but we've listened to what you had to say, and we heard you loud and clear--you want more. Our Keeper community has let us know that they miss our blogs - our Life Tastings™. So here we go: re-entering the blogosphere with more stories about Eats, Drinks, and Travel. Join us as we begin our next adventures in blogging--on the Keeper Life Tastings™ Blog. Just as we founded #SommChat on Twitter over 3 years ago, today we are launching #LifeTastings. We will travel the world to taste Wine, Spirits, Hand Crafted Beer, Fresh Seafood, Artisanal Cheese, Grass Fed Meats, Locally Grown Vegetables, and more to share with you. All work and no play makes Keeper Team very dull! We are hard at work for our upcoming Somms Under Fire event in May, so when we were called to play with some of the wonderful wines from Giorgio Rivetti and Indigenous Selections, Keeper said “let the party begin”! And what a better way to play than with pairing Italian wines with the incredibly creative dishes by Chef Paul Qui at Uchiko. What happens when you put beautiful wines with delectable dishes in the Uchiko private dining room? Answer: a perfect pairing! We would certainly play it all over again if we could, but now it’s your turn! 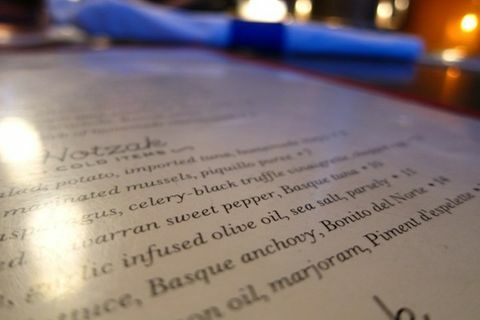 Look at the Wine List and Menu (with some pics) below and tell us what you think would be YOUR favorite wine and food pairings. 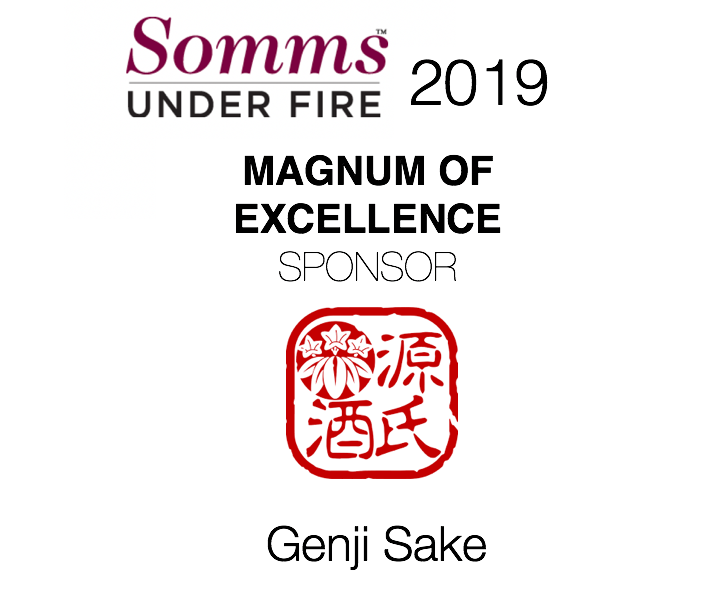 Consider this a Somms Under Fire warm up round! Inspired by hearing Michael Pollan speak live as part of Edible Austin’s Eat Local Week, the Keeper Team got more excited than usual about the Saturday Farmer’s Market. An issue that Pollan clearly discussed was the valid concern that people have about the cost of locally grown food versus that from large agribusiness. 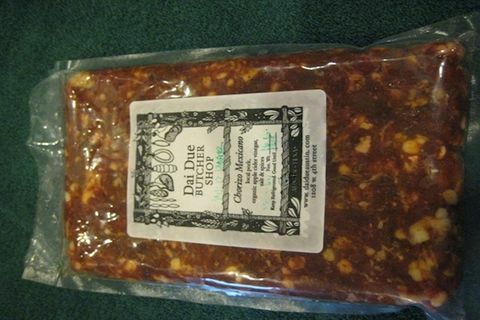 At first glance, one may be shocked at paying $10 for one pound of freshly made Chorizo Sausage by one of our local artisans, Dai Due. 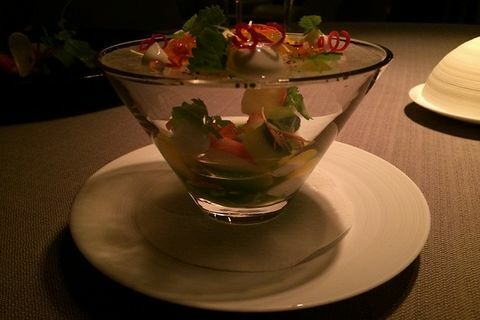 The Keeper Team is continuing its walk down memory lane with a series of posts about some of the fabulous meals we enjoyed during a memorable trip to Barcelona over the holidays last year. One of our first meals in Barcelona was at Restaurant Arola. Inside the luxurious Hotel Arts in Barcelona in the Olympic Village, Arola is a widely admired restaurant and bar created by Chef Sergi Arola. 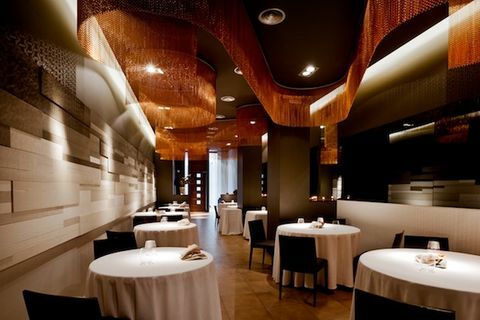 With two Michelin Stars, Chef Sergi Arola has quickly become a well-known name in Spain’s culinary world. We sat down, took in the quirky pop-art décor surrounding us with bright greens and purples, and then asked our lovely server for Cava suggestions. 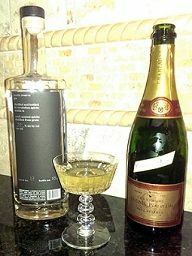 She recommended the Cava Kripta 2004 Cava Grande Reserve. As we prepare to wrap up 2010, the Keeper Team is taking a look back at the many great trips we’ve taken over the past twelve months – all with the goal of giving you, our faithful readers, firsthand accounts of the culinary scene around the globe. Where in the World has Keeper been? We’ve wined & dined in Piedmont, Barcelona, New York, Charleston, Burgundy, Austin… It’s been quite a year! In fact, we’ve enjoyed so many outstanding meals that we didn’t have the opportunity to share them all with you at the time. So, we’re closing out the year with a few “bonus posts” – stories of experiences so delicious that we’re still savoring them months later! And, since this week marks the one-year anniversary of our memorable trip to Piedmont, our first flashback post recalls our bittersweet last day in this awesome corner of Italy. Red Rover, Red Rover: Send Sean Brock Right Over! Chef Sean Brock of McCrady's had been on our radar screen for a long time – long before he won his recent James Beard Award for 2010 Best Chef Southeast. He works as a dedicated, modern “farm to table” chef. 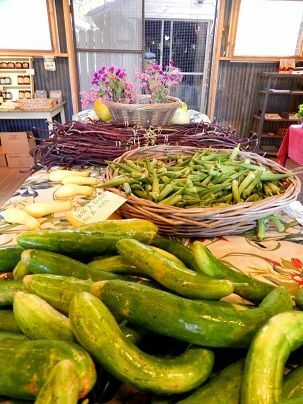 This work, growing fresh vegetables and grains at his own farm and in conjunction with other local purveyors of other local ingredients, is what inspired us to make a trek to Charleston for the Chef’s Tasting Menu. As we walked the streets of Charleston to get to McCrady’s, we approached the awning on the main street of East Bay calling us to our destination. Little did we know that we would take the next alleyway to be able to enter – we felt an adventure ahead. 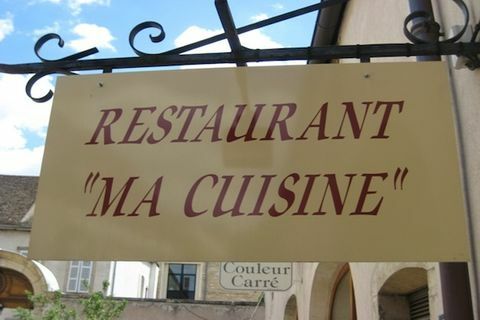 As we make our plans to visit Burgundy, one of our first things that we want to know is whether Ma Cuisine will be open for us to dine. 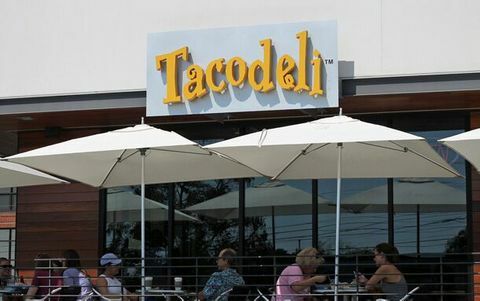 The restaurant has varied days of operation, usually opening on average 4 days per week. 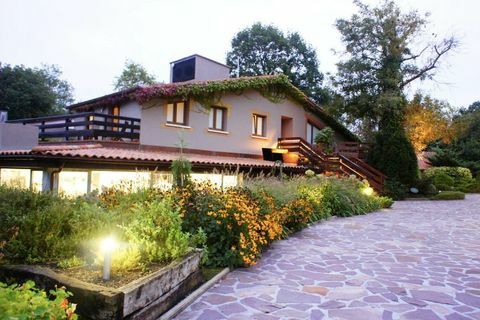 It is a MUST on our list, and we always look forward to the food and wine that Fabienne and Pierre will offer us, not to mention their smiling faces and warm welcome. 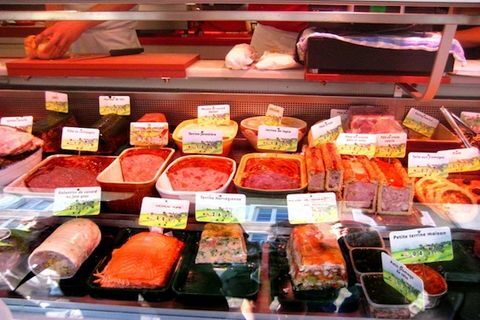 In honor of our French intern, Eleonore, Keeper is dedicating this blog to her – a quick look at a weekly staple of her life and a must-do when we visit Burgundy, the Beaune Farmers Market. 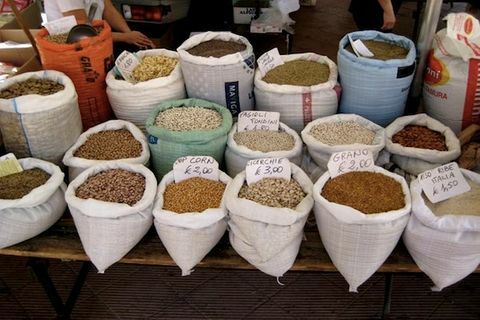 In general, one of the first things that we do before we take a trip is do some research on the local Farmers’ Markets. If you find yourself in Burgundy, a Saturday visit to the Beaune Farmers Market is a must. 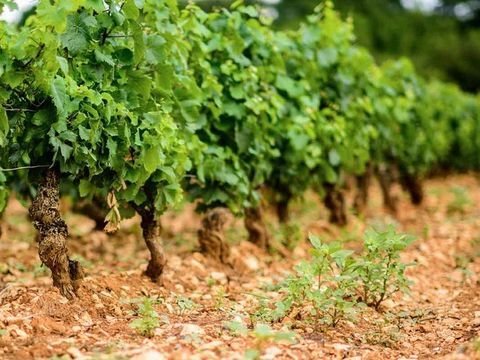 We thought that we are loyal patrons to this market as we have visited it for the last 6 years on our annual Burgundy trips, but it turns out that we are only blip on their radar screen as research says that this market has been around for 864 years! Now that’s a tradition – can you tell us about any Farmers Markets that are older than this? 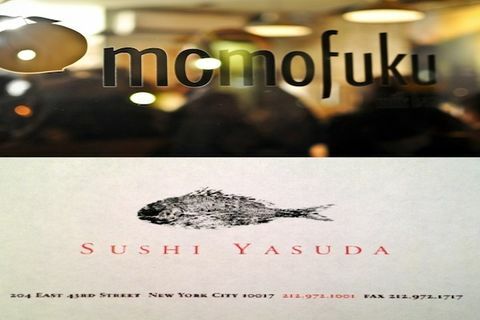 Uchiko -- What would it feel like to win the US Open, the College World Series, or the World Cup? Thanks also to a talented New York sommelier and our good friend Jordan Salcito, we enjoyed a surprisingly delectable brunch at Wallse. We were warmly greeted with the Breakfast Breads pictured above and ordered the Market Greens, Radishes, with Pumpkin Seed Oil. 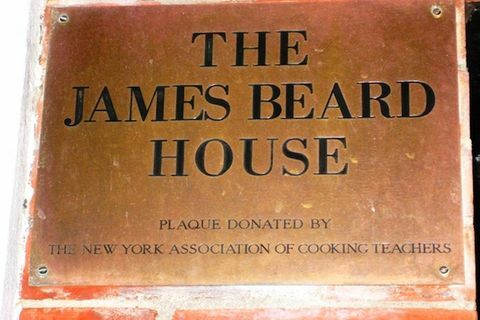 About three weeks after the Keeper Team dined at 11 Madison Park Chef Daniel Humm was deservingly awarded James Beard Best Chef: New York City; however, we knew long before of Daniel Humm’s talent. It’s time to take a short break from our New York blogging and return to our beloved Austin food scene. Thanks to Chef Paul Qui of Uchi, we were directed to the newly born Foreign and Domestic, led by a husband and wife duo with dynamic, culinary experiences. From the moment we drove up and eyed the quaint joint, we were enamored to see what Chefs Ned and Jodie had in store for us. Arriving early on a Friday allowed us to have the seat of our choice, which involved three seating options: inside bar with view of chefs at work, inside table, or outside seating. We jumped at the chance to get up close and watch the chef and his team in action. 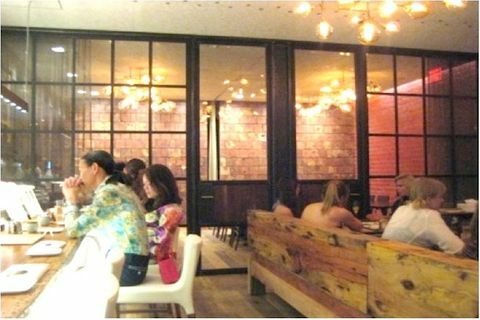 In this small intimate setting, the design allowed adequate dining space with a cozy, but comfortable feeling. The music and interior gave us a sense of young and hip in a neighborhood setting. Chef Ned graciously permitted us to photograph what was ahead. It has been crazy wild around here since my appearance on Top Chef Masters. 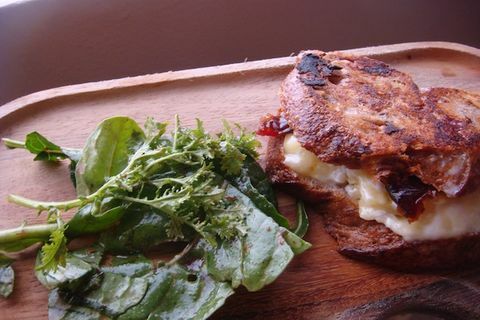 As you may know, I managed to win the Quickfire challenge with a Moroccan-style Grilled Cheese Sandwich. The best part is that I won $5,000 for the charity I was playing for, Recipe for Success. Of course, this is the season that the Quickfire Challenges don’t contribute any points towards your final score. Kind of like when, back in 1996, I won Best New Chef from Food & Wine Magazine, and the next year was the year they started putting the Best New Chefs on the cover. For some reason, this kind of thing always happens to me. 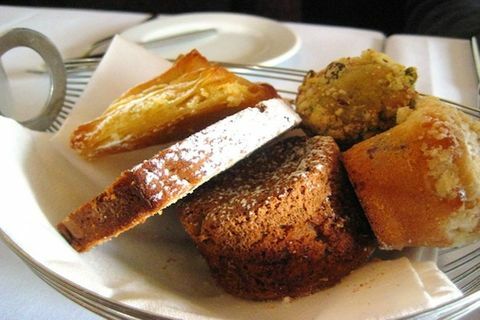 Throughout the world, Chef Thomas Keller is revered as an extremely talented chef. 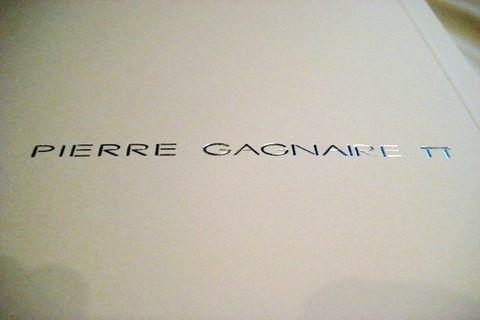 We’ve had the pleasure of heightened experiences at his restaurants, The French Laundry and Per Se, prior to this night. On those occasions, the meals and service, both food and wine were incredible and still to this day provide fond memories for us. While walking around the East Village, the weather was pretty fickle. As the rain would pick up, we would simply duck into the nearest boutique or Joe the Art of Coffee to escape. One of the places that we found shelter in was Dumpling Man for a quick and inexpensive late afternoon snack. Dumpling Man serves 11 different kinds of hand-made Chinese dumplings (both savory and sweet) plus a handful of special sauces and other side items like soups and salads. They also offer their dumplings frozen, providing specific instructions for several ways to prepare them at home. It is an “order-at-the-register” type of place, with limited seating along the counter where you can witness the “dumpling men and women” behind the glass cranking out uniformed dumplings at a machine-like speed. The Keeper Team split up for this one. 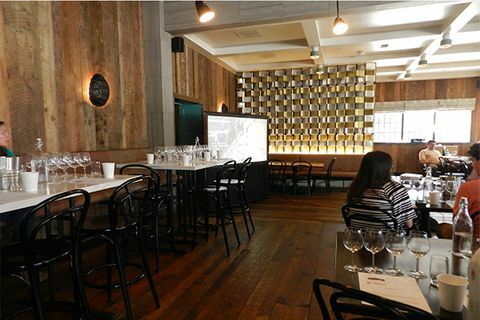 The first group dined at Marea for lunch, and the other group attended later that evening to enjoy dinner. 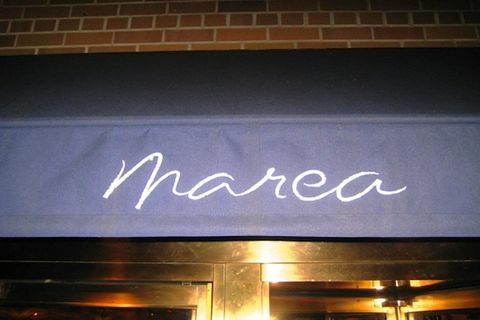 Both teams experienced Marea in a unique way with a different menu, but both experiences were superb – Proving even further why this elegant Italian hideaway along Central Park South deserves its recently awarded title of Best New Restaurant by the James Beard Foundation. 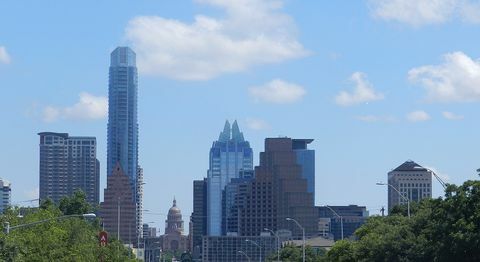 We’ve been so busy with travels, recipe testing, and other work-related things that we haven’t had the time to try the new wining & dining experience at TRIO at the Four Seasons Austin – yes, we should be ashamed at our poor Austinite foodie representation! 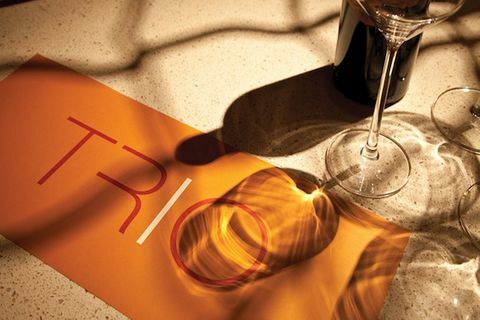 Mark Sayre, Sommelier for FS Austin is one of the masterminds behind Trio’s Happy Hour and favorable Wine List Pricing, which has rightfully garnered a lot of attention lately. 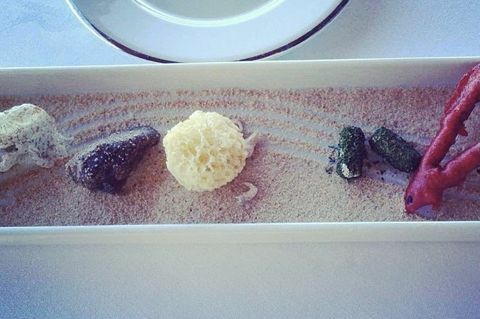 Combine that with the creative dishes by Chef Todd Duplechan and you know you have a winner. We saw it for ourselves (sorry no pics this time), so you will have to take the dish descriptions below and use your imagination – enjoy. Chef John at his "BESH"
We didn’t feel comfortable taking photos in either of the following instances, for different reasons- one out of respect/reverence for the dining environment, one out of fear of getting our heads bitten off. Both delicious, both unique, both NYC. Type of Meal: Dinner, at the sushi bar, by choice because it’s the best way to go! 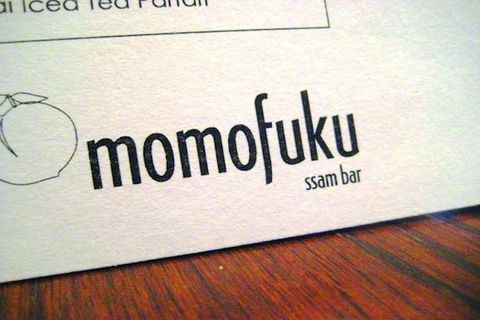 Momofuku Ssam Bar & Milk Bar -- with Cookie Recipe! Restaurant Name & Location: Txkito: (pronounced chee-kee-toe) 240 Ninth Ave. between 24th & 25th Sts. 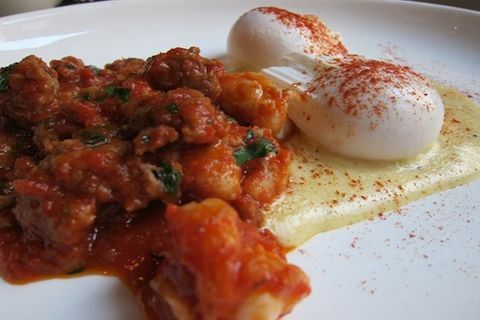 Locanda Verde was a great environment for a casual group brunch in Tribeca! 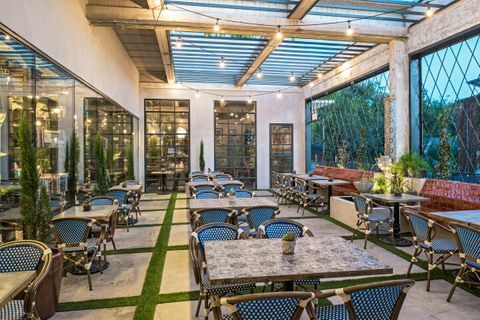 When the weather gets a little warmer, there is a fantastic courtyard in the back for larger parties, and they will also open the doors and windows in the main dining room. Beginning Sunday March 21, three Keeper Collection Couples are taking a Spring Break together…but separate. 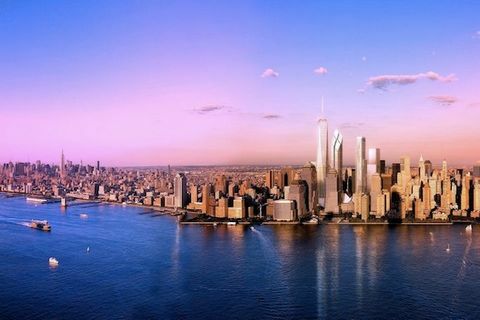 For one week, we’ll be splitting up to take the New York restaurant scene by storm. Seven days + 6 people + 3 meals a day (at least!). 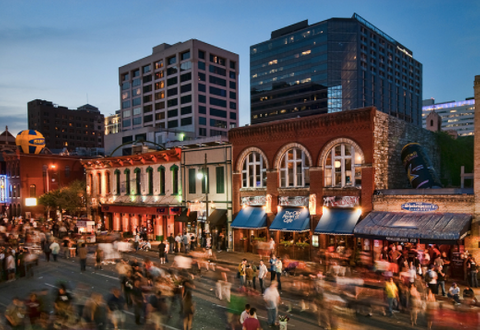 While some may think it’s crazy to leave Austin during SxSW, we feel confident that we can make it worth-while. 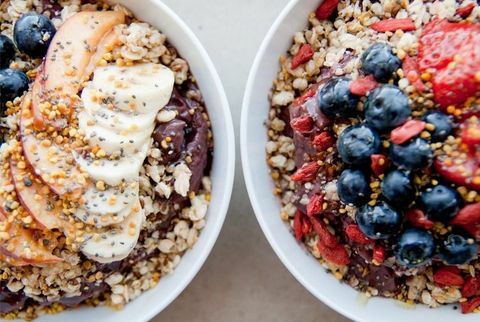 You may call it a “Restaurant Crawl” (with certainly a few Pubs in the mix), an Austinite’s NxNE Food Fest, or even the foodie version of the Amazing Race, but whatever you call it, it simply boils down to a lot of good food! As we continue to savor the memories of our lovely trip to Piedmont, we realized we had not shared a few final days of our trip, so we must continue. Even though we were traveling in the winter, our next to last day started with a beautiful sunrise that was spectacular from every angle. 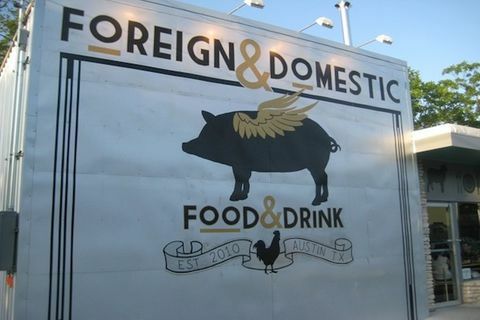 If you’ve been even slightly following the Austin foodie scene lately, you’ve surely noticed the trend in food trailers popping up all over the city, but lately, one trailer in particular has been getting quite a bit of attention – Odd Duck Farm to Trailer. With our growing curiosity and endless strive to be “in-the-know Austinites," Odd Duck seemed like an obvious choice for something new. It soon proved to also be a fantastic choice! 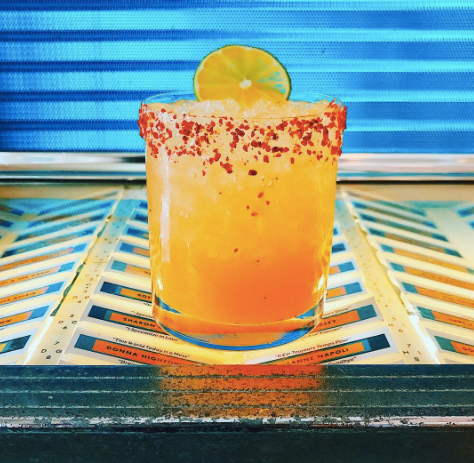 If you too are a self-proclaimed “in-the-know Austinite," swing by Odd Duck soon – and for you out-of-towners, add it to your list of “Reasons to Visit Austin” (you know you have one!). After breakfast in Barolo, The Keeper Team was excited to learn that they would go to the village of Monchiero to visit the winery and cellars of Giuseppe Mascarello. Mauro Mascarello follows a long line of Mascarello winemakers. 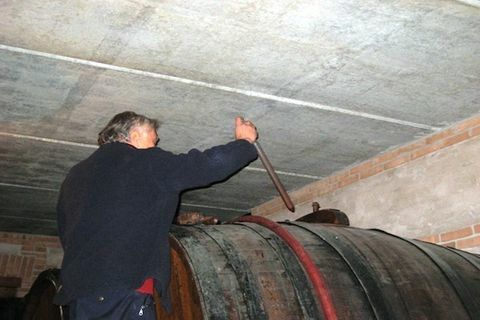 He took the helm of this estate in 1967, both running the cellar and making his first vintage. Mauro gave us a tour of his winery, noting that the building was formerly an icehouse before being converted to the Mascarello winery. The icehouse construction provided the perfect conditions with great insulation for the wine cellars. This was one of many unique items we saw at the winery. 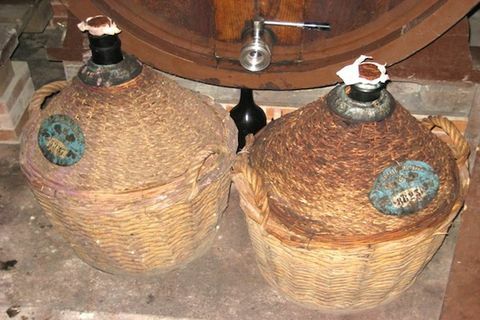 There were old large bottles, and a cask that his grandfather had commissioned specifically for the winery. The Keeper Team woke to a foggy, foggy morning, or what in Piedmont is called nebbia. The fog did not stop us from getting our morning coffee, this time not far from our Villa in the town of La Morra. We learned from our friend, Peter Wasserman, that there was a special chocolatier on a back street in Cherasco, so we were determined to find this artisan. It was a very small shop, but with an amazing array of chocolates. The owner enticed us with samples which were so delicious and a diverse selection. 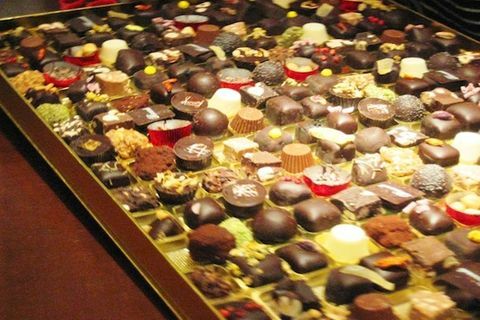 His generous offers of samples led us to buy a kilo for home, selected for us by the chocolatier. We found him to be extremely friendly and giving, just like all of the winemakers we had met on this trip. We quickly realized this was a beautiful part of the Piedmont culture. Starting the morning off with a caffeine fix is typical for the Keeper Team. While in Piedmont it was special to begin the day with a morning drive to the next village in Piedmont for espresso of choice, while being surrounded by the Alps along the way. Enjoying this panoramic view and knowing that there would be wine tastings and food pairings with Barolo Wine Masters was almost more than we could stand. So, Keeper took a deep breath, because we knew the adventure was just beginning. Thanks to Russell Hone, we found ourselves staying at Villa Carita in La Morra, a small property owned and operated by a husband and wife, with majestic, breathtaking views of the Barolo valley. The spacious suites were a pleasant surprise. The unexpected “amenities” in the suite for the Keeper Team were no Wi-Fi, no phone, and no TV, but we did have heat for the December winter cold! This created a peace for the team that allowed us to get out of the typical American mode and truly appreciate the beauty of Piedmont that surrounded us. We met up with the rest of our group as it was time for our first dinner in La Morra. 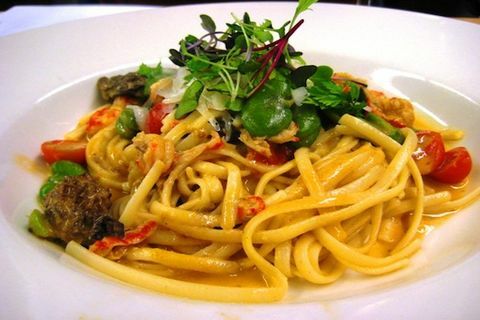 Russell selected a locally, well-regarded restaurant, Osteria Veglio. 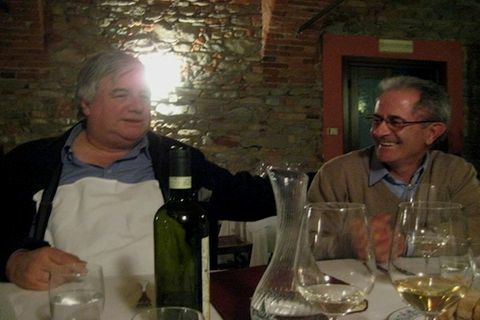 We were pleased and surprised to learn that one of Russell’s long-time close friends, Elio Altare, would be joining us for dinner. 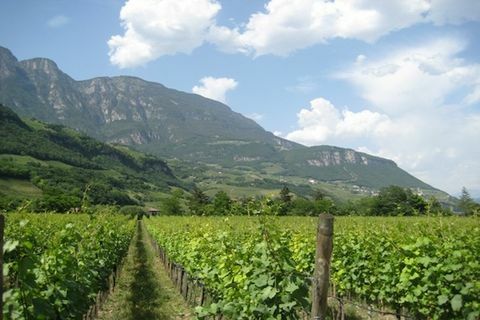 While driving from Geneva to Barolo, the Keeper Collection Team had no idea how magical the area of Piedmont would be. The drive through the Alps was the beginning of memories that would last forever. Of course, a 5 hour drive works up an appetite, so the first thing we did was find a local place to eat that would serve as the beginning of our quest for knowledge about the cuisine of the area. Thanks to our friend, Peter Wasserman, we found ourselves in the quaint village of Cherasco. As we walked toward our chosen eatery, we were able to admire the amazing ancient masonry work of arches overhead. We ate lunch at Caffe’ Osteria Umberto Ferrero Teresio Bar. We were recently challenged to make Mushroom Risotto for an event. 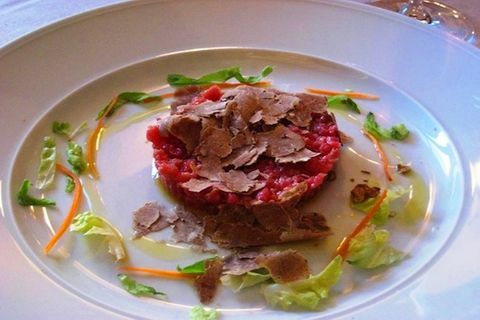 We immediately accepted, recalling our fond memories of traveling to Tuscany for a week of culinary cooking classes. 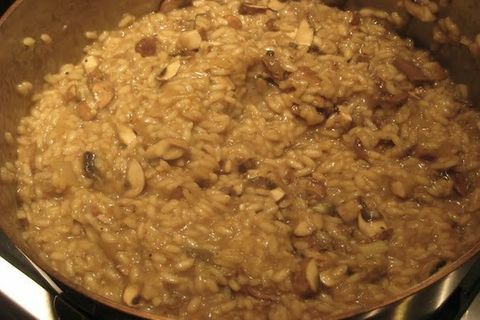 We pulled from what we learned from one of the classes to make our favorite Porcini Mushroom Risotto. 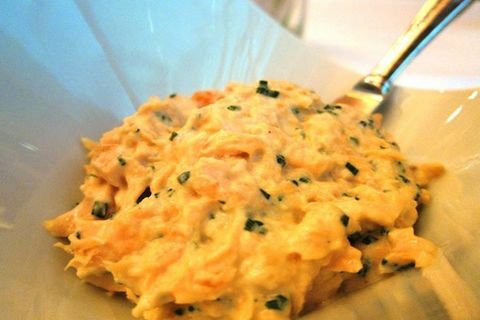 This makes a great fall and winter dish--keep reading for the recipe! 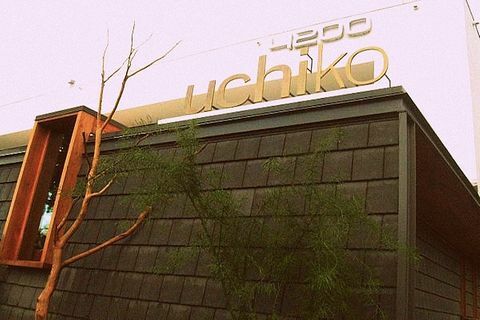 If Uchi were a rock band, who do you think they would be? Comment and let us know your thoughts! Hmmm…what do you do when your neighbor comes home with 10 pounds of mackerel and offers you half if you’ll cook all of it and share with his family in return? Jamison, my daughter, and I wondered the same thing – what could we do with this bounty? As you may or may not know, Jamison is my #1 sous-chef (don’t tell anyone in the kitchen at my restaurant, they might be jealous), infinitely wise and talented at the ripe old age of 4. 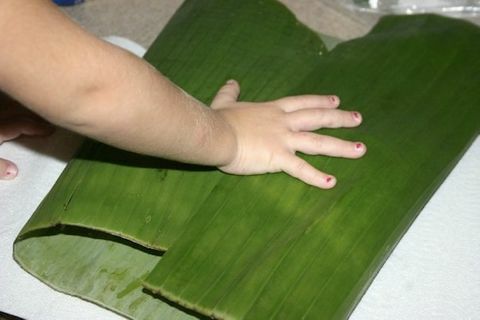 She can chop and prep like a pro not only from my lessons but from the knife skills she inherited from me! 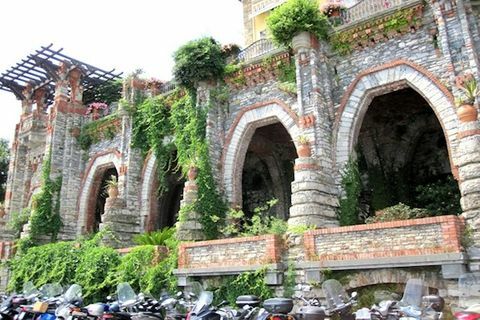 The next leg of Keeper’s Italian excursion took place in the Liguria/Italian Riviera region. Although we regularly day-tripped throughout the area, we resided in the city of Recco, which is in fact the gastronomic capital of Liguria. If you’ve been following our previous posts (Part I & Part II), leaving Puglia was clearly saddening, but we said our goodbyes to Monopoli while continuing our food adventures to the northeastern corner of Italy, Alto Adige. 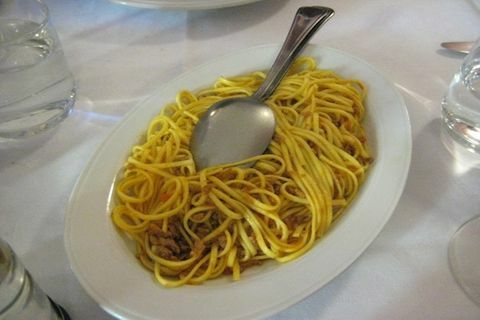 We experienced cuisine that had both local Italian and German influence. We also enjoyed a wine tour and a spontaneous detour to Austria. Buongiorno from the Keeper Team! 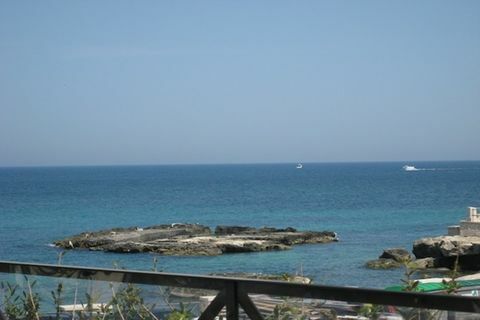 While planning our trip to Italy, one of our best decisions was to stay in an apartment rather than a hotel in Monopoli so that we had our own kitchen to cook in. Besides, even after two days, our clothes were starting to feel tighter (only an itsy bit) from the richness and quantity of food from eating out (not to mention the thinning of our wallets). With all of this in mind, the Keeper Team was excited to hit up the local market for fresh fish and vegetables. Our goal was to use the freshest Italian ingredients to create a local variation of a recipe by Chef David Bull of Congress Austin, along with some food creations of our own. For the past couple of weeks we’ve been eating good food, drinking good wine, and having a GOOD time. The Keeper team just got home from Italy, and we have so much to share. 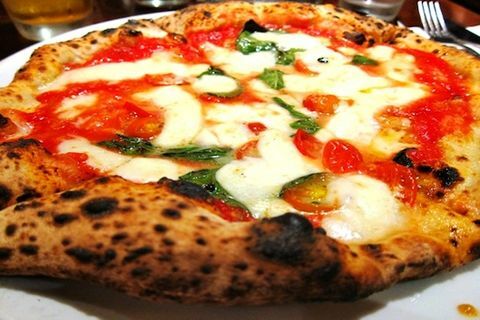 We decided that we wanted to divide and conquer the country – North, South, East, and West – to find the freshest foods and best Italian cooking. 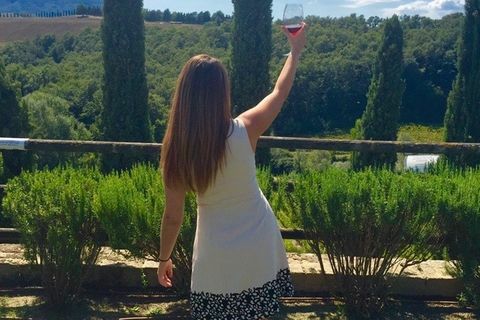 Part of our team took on the northwest side of Italy, tasting foods in the Italian Riviera and slipping into France. The other part of the team traveled to Northern and Southern Italy and even snuck on over to Innsbruck, Austria. Life’s rough, huh? In Southern Italy, we wanted to find the freshest foods and learn the most from a culinary perspective.